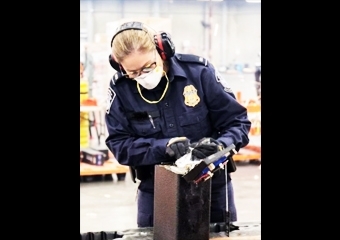 S Customs and Border Patrol have just made a record-breaking drug bust, uncovering over $1.3 billion in illegal drugs, including methamphetamines, cocaine, and heroin, which was all Australia. Two Americans and four Aussies were taken into custody as the authorities seized the drugs at California’s Los Angeles/Long Beach seaport. According to the report, 3,810 pounds of methamphetamine, about 56 pounds of cocaine and 11.5 pounds of heroin were all packed in audio speakers but was all discovered by authorities. Altogether, the illegal substances weighed in at approximately 1.7 tons.This was by far the largest methamphetamine bust ever in history, with over 17 million doses of the deadly drug headed for Australia. Amazing.